We use electricity every day as the most convenient form of energy. But this causes a flood of electromagnetic “noise” throughout the environment, which limits the accuracy of precision machines, and can induce accidents in high power devices. This noise has remained a mystery because previously nobody intensively investigated just how it is generated. It is particularly serious for particle accelerators, which was shown by noise pattern analysis, of especially that passing through the ground (circumstances). This is beyond the standard two-line circuit theory. 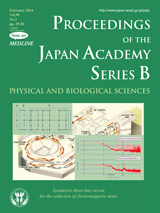 Hence, Toki and Sato, the authors of an article appearing in this issue, pp. 29-46, introduced the concept of a three-line circuit so as to include the circumstance (ground) line for the noise, and managed to suppress it mainly by symmetrizing all electric components around the third circumstance line. This new practice of noise reduction forced them to construct a new circuit theory starting from the basic Maxwell equations without any approximation. 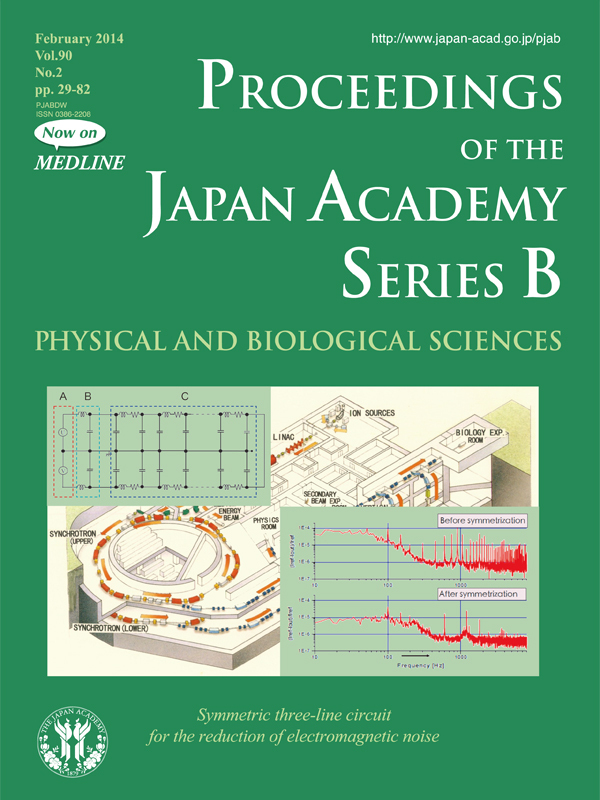 The upper-left figure shows a symmetric three-line (S3L) circuit with twin power supplies (A), twin noise filters (B), and a series of magnets (C), which was designed and adopted for the powerful Heavy Ion Medical Accelerator in Chiba (HIMAC), shown in the bird’s-eye view background. This has allowed for the very successful operation of HIMAC at the particle cancer therapy center, constructed in Chiba prefecture, Japan. This is also true at a recently constructed accelerator operating at the world intensity frontier: the Japan Proton Accelerator Research Complex (J-PARC) located in Tokai. Its main-ring (MR) synchrotron originally used a two-line circuit for the power supply of the magnets, but the noise level was too high to accelerate protons, as shown in the upper spectrum of the lower-right figure. The accelerator team subsequently introduced a S3L arrangement in 2008, and thereby succeeded to realize stable operation by reducing the noise level, as shown in the lower spectrum. From these experiences, it came to be understood that any electric machines using high electric power, such as particle accelerators, aircraft and hybrid cars, must use S3L circuits to reduce electromagnetic noise from the environment so as to avoid any mysterious break-down of the electric devices and to secure safety.